(2017). How Porous Nanofibers Have Enhanced the Engineering of Advanced Materials: A Review. Journal of Textiles and Polymers, 5(2), 3-21.
. "How Porous Nanofibers Have Enhanced the Engineering of Advanced Materials: A Review". Journal of Textiles and Polymers, 5, 2, 2017, 3-21. (2017). 'How Porous Nanofibers Have Enhanced the Engineering of Advanced Materials: A Review', Journal of Textiles and Polymers, 5(2), pp. 3-21. How Porous Nanofibers Have Enhanced the Engineering of Advanced Materials: A Review. 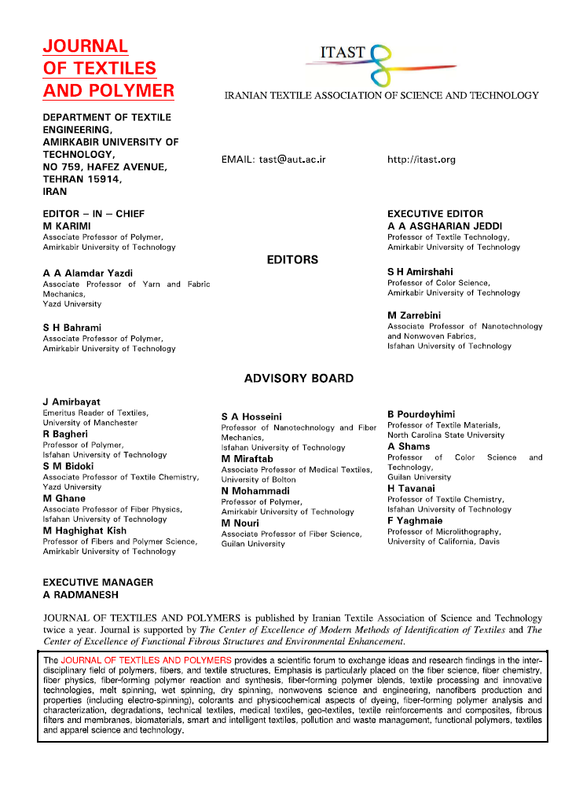 Journal of Textiles and Polymers, 2017; 5(2): 3-21.